So I'll probably give you two posts today. That is fare warning. This first one will be brief because I just wanted to share some information and a couple links. 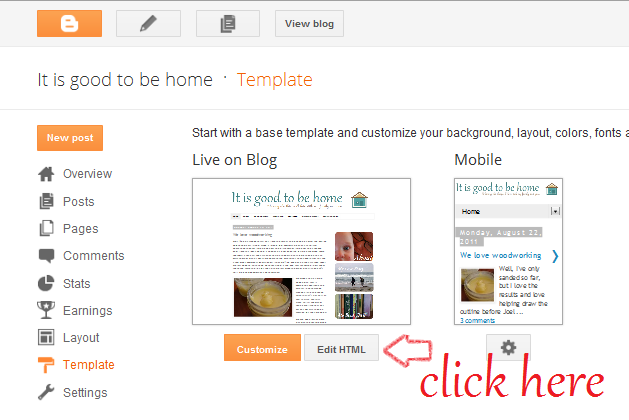 If you have updated to the new blogger interface, things have moved and been renamed. The "Design" page is now the "Layout" page. BUT, even though the "Edit HTML" was in the "Design" page before, it is now in the "template" page. If you click on the template page and it brings you to the black page to select a new template, just click "back to blogger" in the upper right hand corner and you should see the "Edit HTML" button on the page it brings you to. Now just follow the directions on the tutorial. The second link I'll show you is so that you can see who likes your posts or even shares it without clicking the like button. Go to http://likebutton.com and click "Add a favorite site". Add your blog, click "My favorites" and voila! You can see who of your friends shared your posts. If someone shared your post or liked it and they are not your friend, it will just give you a number. I posted how to add a favicon a while ago. That was before blogger made it SO EASY! Now all you have to do is go to to "Design/Layout" page and click on the "Favicon button". To read any tips I had on making a favicon, you can read my old post here.